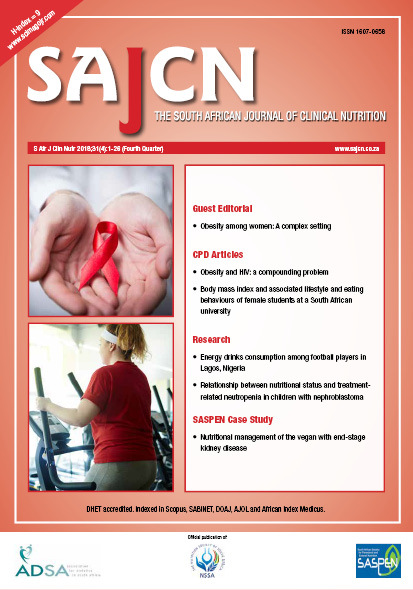 Material submitted for publication in the South African Journal of Clinical Nutrition (SAJCN) is accepted provided it has not been published elsewhere. Copyright forms will be sent with acknowledgement of receipt and the SAJCN reserves copyright of the material published. The SAJCN does not hold itself responsible for statements made by the authors.